﻿ ETL-2513SF CO2 laser cutting machine for metals and nonmetals-Dongguan Ever Tech Laser Technology CO LTD.
◆ Made of entire welding thick steel plate,weight about 2.2T. ◆ The key components are from Japan and Germany. ◆ Standard electric control,meet the European CE standard. ◆ Multifunctional design for cutting nonmetal and metal. 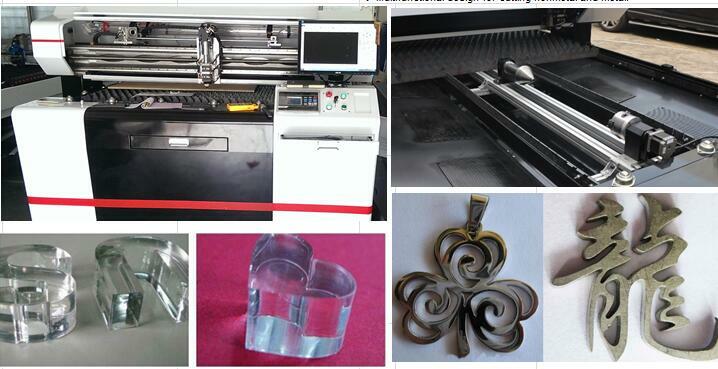 Any kind of Genuine Leather,Garment pattern Engraving, Leather Cutting and Pattern Engraving." Engrave Picture, Image or Letters on Marble, Granite etc." 16	Supported file format	BMP、JPEG、GIF、TIF、PCX、PLT、AI、TGA、DXP etc.